This may or may not be rather depressing. I haven’t decided. All I know, was it was cold and many layers of clothes were needed. The time, though, has come. Another semester has begun. So, officially, welcome back. Hopefully, you have had a wonderful first few days back and a great first day of classes. I would say, you have succeeded if you have not turned into a popsicle. Want to succeed throughout the semester? Yes? That’s what I thought. Follow these tips to have a great semester Happy spring semester 2014!! Go ahead and fill out those calendars, PDA’s and planners with all the test and paper dates. It may be depressing, but it will get you organized and started off right. Don’t forget to look at those due dates! We are all horrible with procrastination, but try to plan ahead and don’t be afraid to start things early. Maybe last semester you didn’t do much outside of classes and your dorm, or maybe you did way too much. Whichever, it is important to have extra-curricular activities and get out and do stuff, but be sure to find a balance. It is never too early to start looking at your finances. Go ahead and get them in order so you aren’t stressed come finals. You might want to also start thinking about rooming situations. Roommates and dorm sign-ups are right around the corner. Finally, have a good attitude. 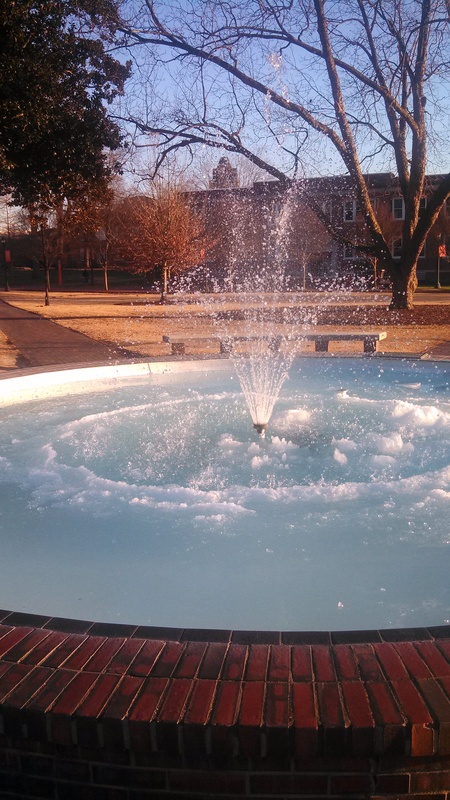 Yeah it’s cold and it is class, but make the best of this semester. Meet someone new; try something new. Live it up and make this the best semester yet!